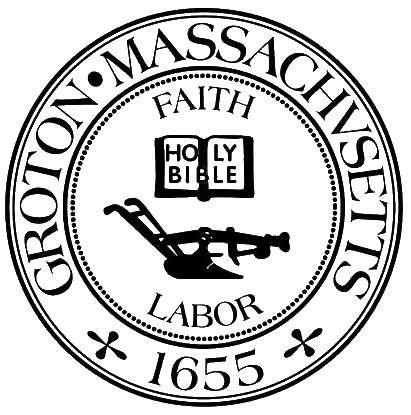 The Town of Groton’s Planning Board, in conjunction with the Town of Groton’s Economic Development Committee, is pleased to announce the availability of a newly developed “Guide to Permitting”. The purpose of this guidebook is to assist homeowners, property and business owners, developers, brokers and contractors who want to develop land within the Town of Groton. The intent is to streamline permitting by providing clear, easy-to-follow procedures that outline the development review process. In addition to a chronological, step-by-step explanation of the permitting process, a matrix is included that shows an applicant the departments that would be involved in thirty seven different types of projects along with a list of contacts for the requisite departments. This guidebook is not all-inclusive with regard to necessary approvals and permits that may be required for a particular project, but it does provide a basic overview of the Town’s development review and permitting process. The permits the applicant will need, and their accompanying procedures, will depend upon the type of development the applicant plans to undertake. The Town makes every effort to minimize the processing time for permits. However, processing permits does take time. As with anything, proper planning, research and communication with the Town will help the applicant anticipate and avoid potential problems and delays. We encourage the applicant to contact the Town as early in the planning process as possible. If the project is complex and involved, the applicant may consider hiring outside professionals such as architects, engineers, or other consultants to assist the applicant. The applicant will most likely find that the extra effort made to hire qualified people experienced in successfully processing permits will save the applicant time and money in the long run. Copies of the Permitting Guide can be found HERE or on the Land Use page under Documents.